Pokemon Pinball Ruby & Sapphire GBA Game Boy Advance Game Cartridge Cleaned Tested and Guaranteed to Work! 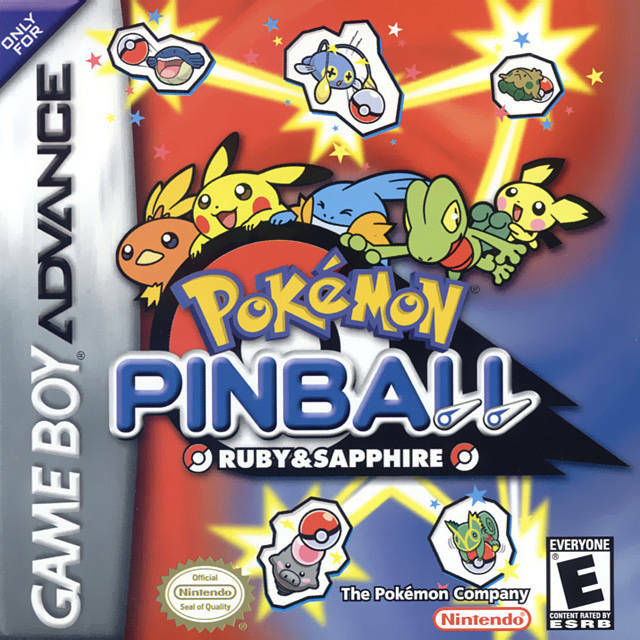 I absolutely LOVE the original Pokemon Pinball and for some reason, it's like I didn't even consider that there may have been a sequel. After a random search looking for Pokemon games, lo and behold, Ruby & Sapphire! I had to get it immediately, and who wouldn't with Lukie's excellent price point on the game? ;) If you know the original, this is very much like it, just expanded in various ways. I'm impressed with it all over again. I loved this game when I was younger and still consider it one of the best pinball games you can find. Lukie Games made everything easy and handled the order fast. I've already recomended this site to many of my friends. I absolutely LOVE this game! I may not airways get a very high score, but it's still fun to beat all my high scores! J'ai déjà le premier pokemon pinball et maintenant, celui-ci est encore meilleur! Tu dois jouer au pinball pour attraper tous les pokémons (en entrant dans des trous et en frappant des choses avec ta balle). Beaucoup de correction faites dans celui-ci qu'il n'y avait pas dans le premier. J'ai adoré, c'est un achat que je ne regrette pas. Game came fast, and was in very nice condition. I had a small problem, which was resoleved very fast. The seller is one that I will do business with again if the occasion arises where I need their products.